Whether cooked, fried, baked, or poached, eggs are one of the most popular foods worldwide. This doesn’t come a surprise, since scrambled eggs, omelettes, and co. are quickly preprared but substantial meals. Compared to other food, eggs also have a longer shelf life—if you store them right. But what exactly does that mean: Should eggs be stored in the fridge or not? The fact is: Even in the hottest summer months, you can find eggs in supermarkets stored uncooled in cardboard boxes. But when we get home after grocery shopping, most of us transfer them directly into the fridge. Why is that? Each egg has a natural protective layer called a cuticle that surrounds the outside of the shell. Thanks to this, you can store an egg at room temperature for 18 days without it going bad. Knowing this, most egg trading companies only brush off excess dirt from eggshells instead of washing them. This means that the cuticle remains intact and the eggs can be stored uncooled in supermarkets. This natural protection is good for these 18 days only. Afterwards, you need to store eggs in the fridge in order for them to stay fresh. So it’s purely a precaution to refrigerate eggs right after buying them—because who can keep track of the exact date when the eggs are bought, or know how long they’ve been in the supermarket beforehand? So eggs are stored best in the fridge within their cardboard box or in special egg compartments in the refrigerator door. This prevents them from absorbing intense smells from other chilled food, like cheese or fish. Once you’ve placed them in the fridge, the cooling chain must not be interrupted before preparation. Otherwise, condensation may form on the egg shell that can then infiltrate the egg inside along with germs. The Egg Tip—Up or Down? Eggs should always be stored with the pointed end downwards. This way, the egg’s air chamber remains at its natural origin, the blunt end of the egg; otherwise, the egg skin could peel off and germs could invade the inside. So, How Long Are Eggs Edible? 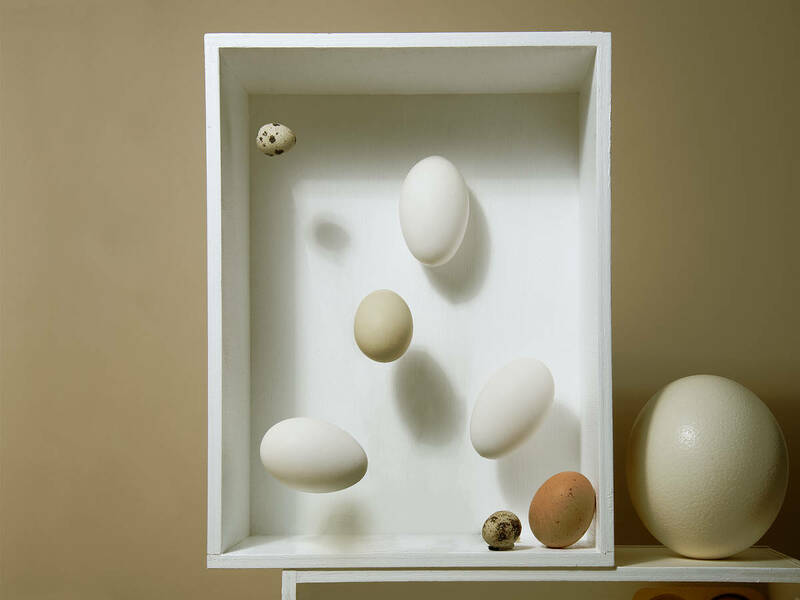 A freshly laid egg is edible for at least 28 days when stored properly. After this period, don’t consume it raw or in dishes like tiramisu or carbonara, but only when you cook or bake with temperatures over 70°C/160°F. This way, the risk of a possible infection with salmonella is significantly reduced. Is Microwaving Food Really Unhealthy?